American Wholesale Property: This house just needs a little updating to be rent-ready! This house just needs a little updating to be rent-ready! 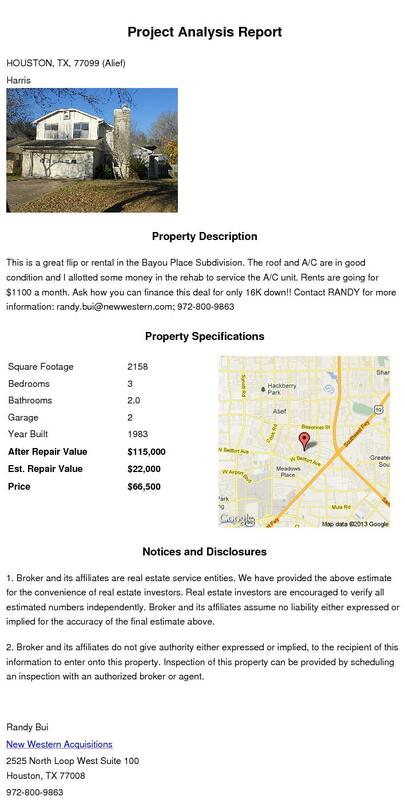 Excellent opportunity for an investor seeking a low-end flip or rental property. This four-sided brick home sits in an established neighborhood with no fully updated comps. and extremely limited rental inventory. This well taken-care-of property needs only minor cosmetic updates and slight foundation repair. **Sherman Bridge out-of-pocket expense: $15,675 (Total Landlord Solution). Contact RANDY for more details; 972-800-9863; randy.bui@newwestern.com.